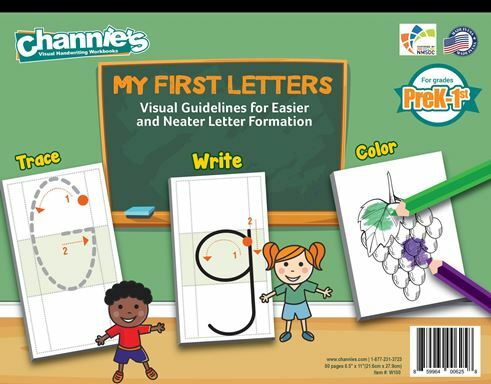 My three year old, Smiles, has been wanting to do school like her big sisters this year, so she was thrilled when we received a free copy of My First Letters from Channie’s Visual Handwriting & Math Workbooks to review. This workbook is designed for children in Pre-K through 1st grade. 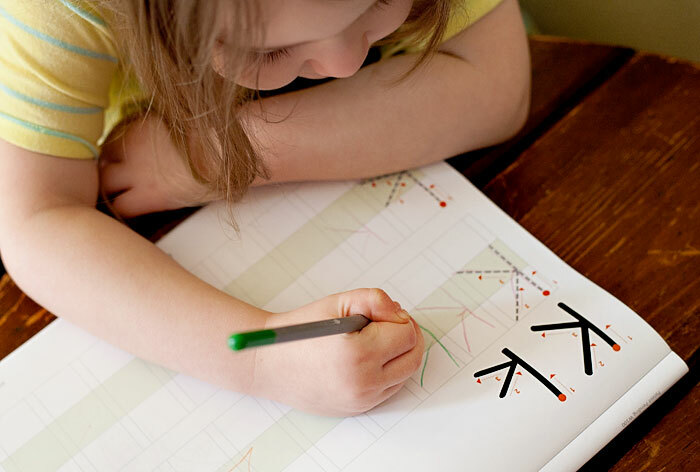 It contains three pages for each letter, one to trace the uppercase letter, one to trace the lowercase one, and a page to trace both the uppercase and lowercase letter once and then write it on your own. 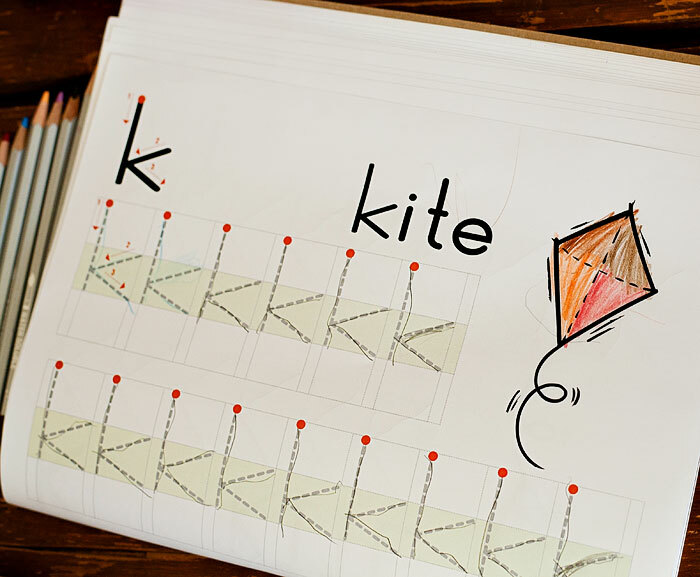 The two tracing pages each also have a small picture to color, and every page has guidelines that are intended to help children for their letters more easily and neatly. The final two pages contain numbers zero through nine to trace. 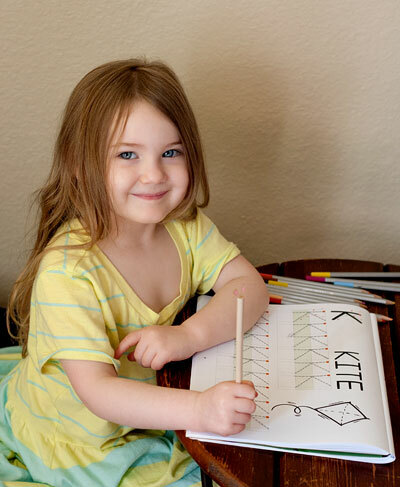 Channie’s Visual Handwriting & Math Workbooks sells a number of other workbooks, including a Quick & Neat Alphabet Pad and a Easy Peasy Alphabet workbook for Pre-K through 1st grade. I actually wasn’t sure that she was at all ready for something like this, so I was quite impressed with how well she could trace the letters, and how much she enjoyed it. 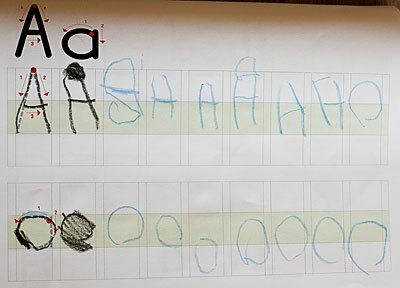 She’s not really quite to the point of mastering writing letters on her own yet, though. Some of the letters, especially, were just too much of a challenge for her. I was impressed that she was even able to write her letters at all after tracing them, though. She also quickly lost interest in attempting to write the letter on her own more than once or twice before wanting to move on, and after the newness wore off, she resisted doing the writing pages at all because without anything to color on the page there was no appeal for her. All in all, this is a well made workbook, and when Smiles is in just the right mood, she enjoys working on it. She’s really still in preschool right now, so I think she’s just a bit young for it and would likely enjoy it even more (and actually be ready to write her letters after tracing them) in six months or a year. This could also be a great workbook to accompany a reading program that focused on teaching the letter sounds, to practice writing the letter you’re working on. *Side note…can I just say how ridiculously grown up Smiles looks in this picture? I mean oh my goodness, she’s THREE for crying out loud, but all of a sudden she’s looking like a school kid! I just can’t even! Anyway, be sure to hop over to the Homeschool Review Crew link-up to check out what others have to say about this workbook, and a handful of others from Channie’s Visual Handwriting & Math Workbooks. ← What’s your “I’m such a MOM” moment?